We Cut Surfaces, Not Corners. Y.K. Marble, Inc. is a family owned and operated business located in Denver, Colorado. We specialize in everything from design and fabrication to installation of the Earth's finest natural stone materials, such as — Granite, Marble, Travertine, Quartz slabs, Stone tile, and Glass Mosaic tile. 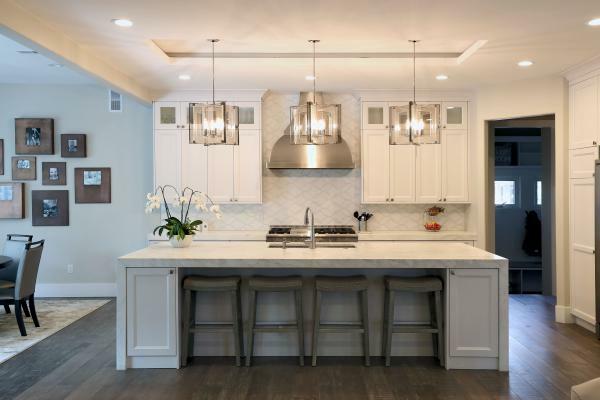 All of our work includes custom cutting to size for your Denver kitchen, vanity, laundry rooms, fireplaces, bath surrounding, walls, floors, patios and more. 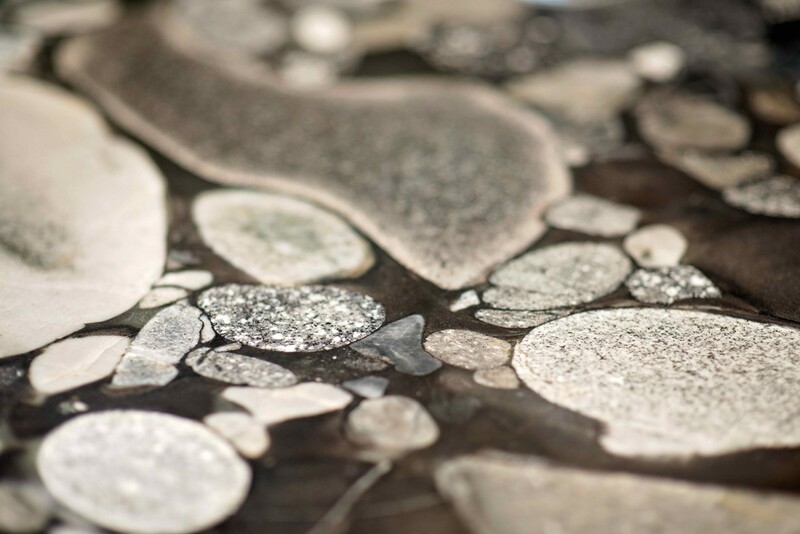 We offer fancy surface finishes such as leathered and honed, as well as numerous edge styles. 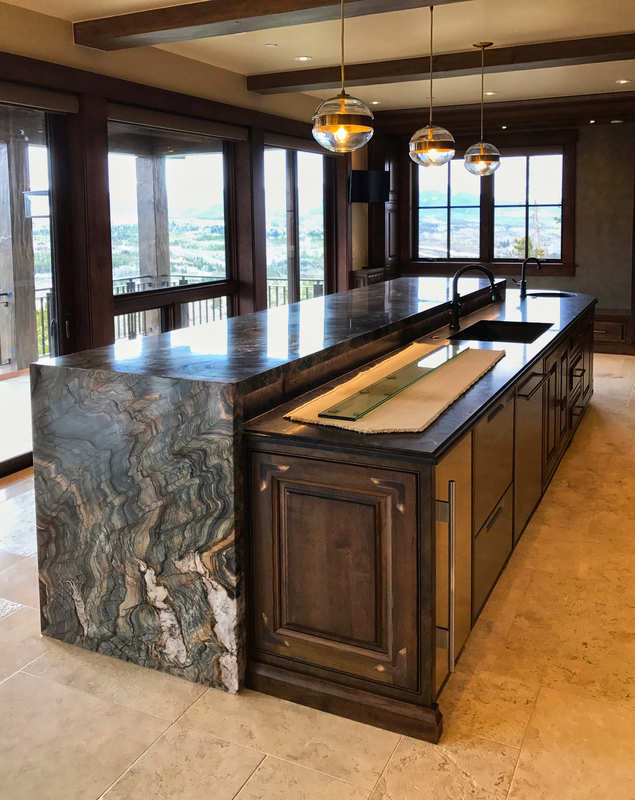 For a small countertop, we have a variety of Denver granite, marble, and other natural stone remnant pieces available for you to choose from. Call today: 303-935-6185. We at YKSC wanted to wish everyone a Prosperous and a Happy 2019! 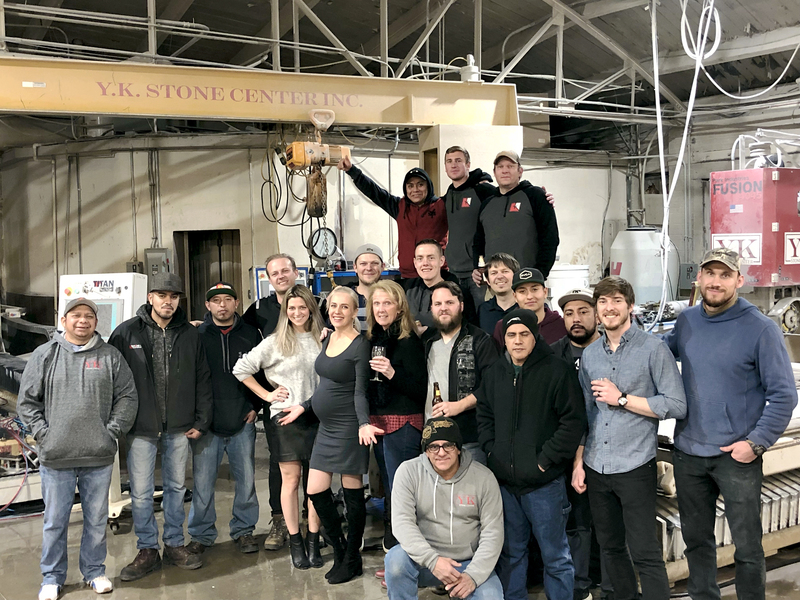 YK Stone Center has expanded with new faces in the office and fabrication team, we have also added some new machinery to our shop. Lots of changes coming this year! We want to say THANK YOU to all our Vendors (and Reps), Builders, Designers, Contractors, Referrals, Current/Returning Clients and Walk-ins who have brought us to where we are today. THANK YOU, we sincerely appreciate each an everyone! Thank you for your continued partnership with us! Cheers to a whole new year of opportunities and Blessings. 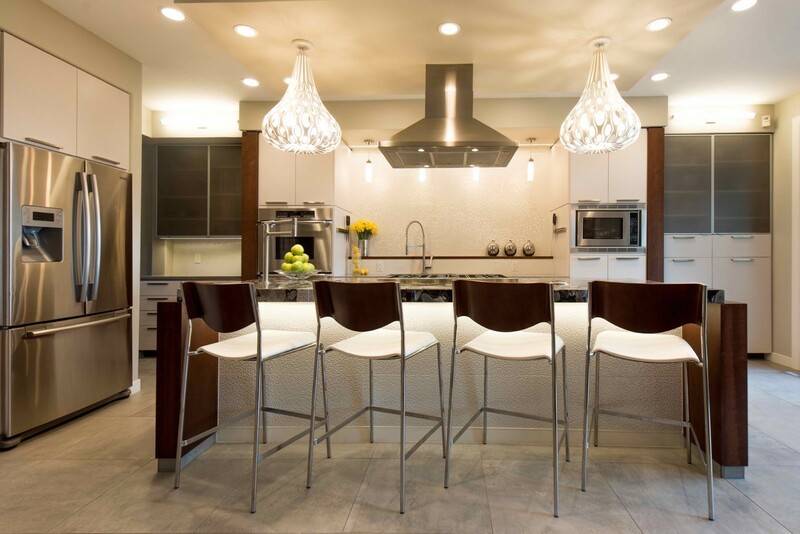 Being a designer, you typically know how you want your kitchen to be, especially if you are a mom... The routine in the kitchen should be obstacle free, the inevitable toys withstanding. As you all know, YKSC is a family owned company. 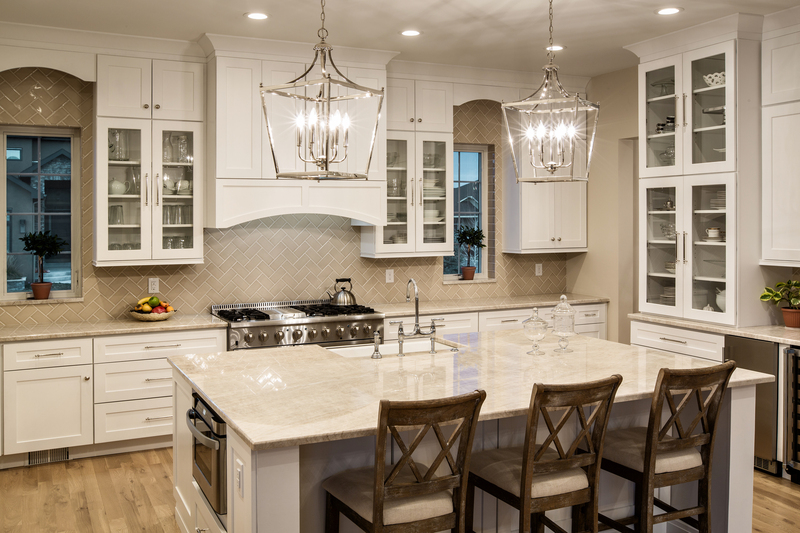 We immigrated to Colorado 22 years ago from Russia, and for us the most important facet of the kitchen is the island. Our island is always covered with some amazing Russian (and American) food and surrounded with bellies ready to eat. 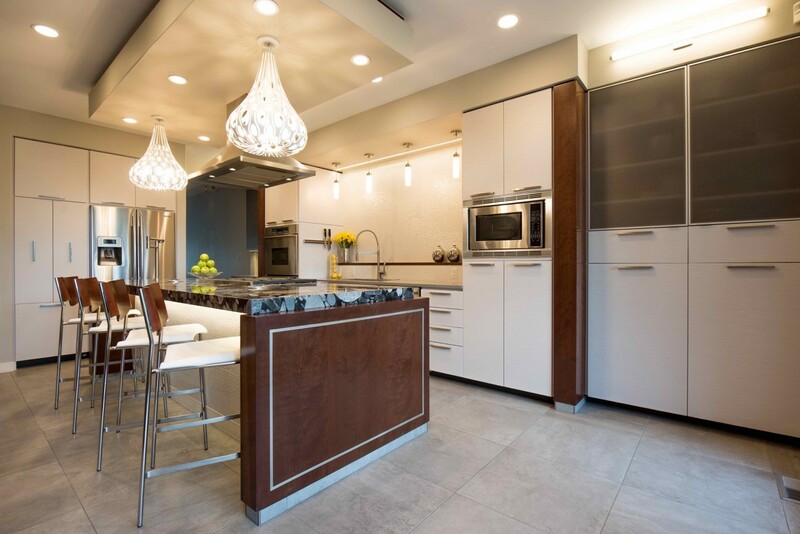 The island provided a spectacular focal point for this kitchen, with the rest of the room designed to compliment it. It looks stunning. 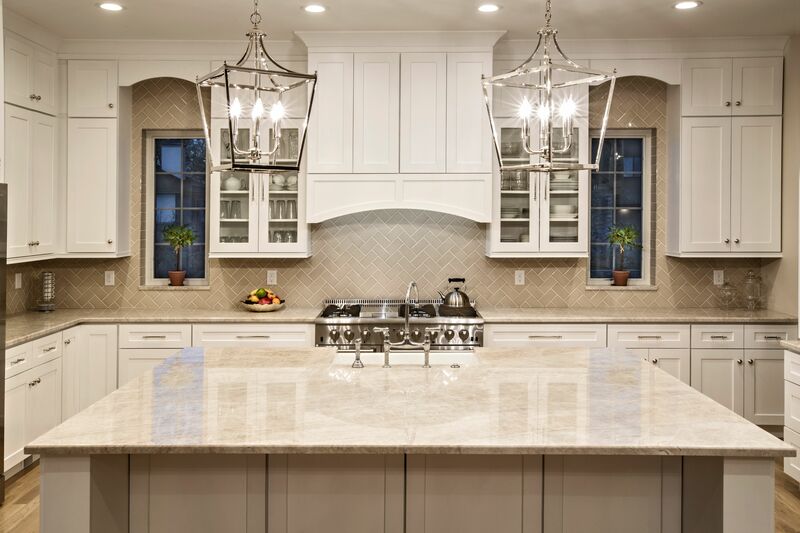 The market has been trending towards engineered stone, but in my opinion, there is practically nothing man-made that compares to the beauty of Taj Mahal. So many of our customers agree with us that we’ve been buying containers of Taj Mahal from a local distributor who imports it directly from Brazil. For those of you who are geologically inclined Taj Mahal is a category of metamorphic stone called Quartzite, that starts as sandstone and because of its mineral make-up is harder on the Mohs scale than granite or man-made quartz and much less reactive than marble. As we often say, “there is no artist like mother nature”. No two slabs of Taj Mahal are exactly alike, and all of them are magnificent. 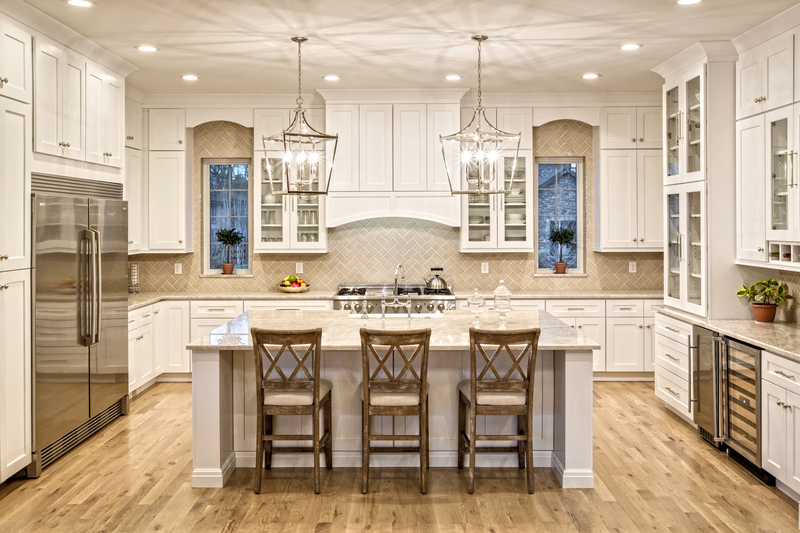 Because of that Taj Mahal guarantees that you will have a kitchen that is unique and beautiful, we find that truly remarkable! 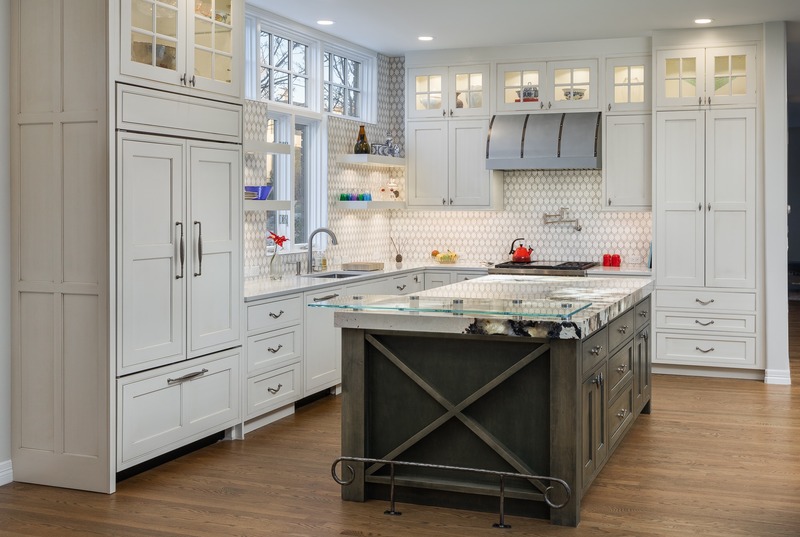 Take a look at this beautifully done kitchen, dreamed up by our talented in-house designer, Kate. Island Dimensions: 100X76 single slab. 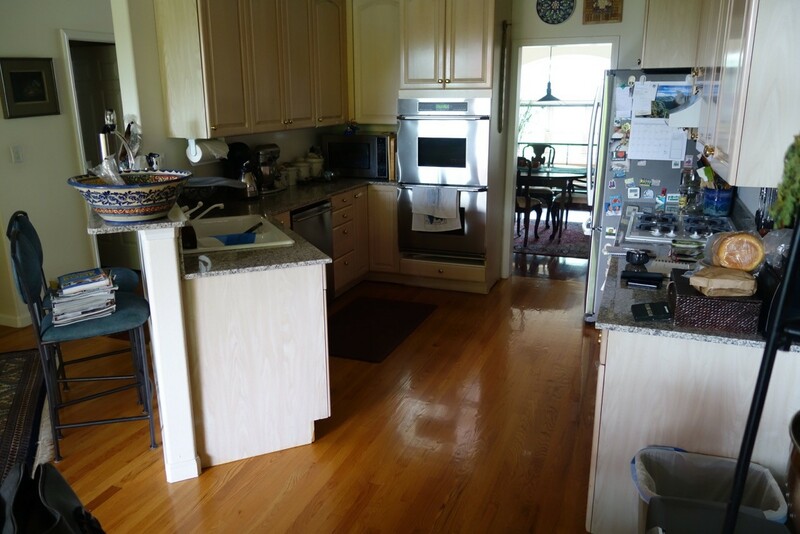 For the past few years, the color pallet of the kitchen has turned to mostly white and gray. 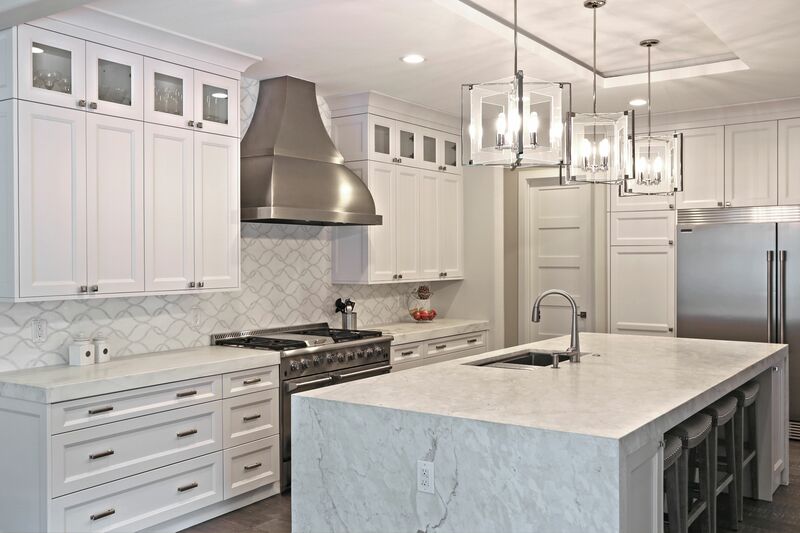 I wanted to share one of the homes that we've installed the natural marble in- and yes this is in the kitchen! 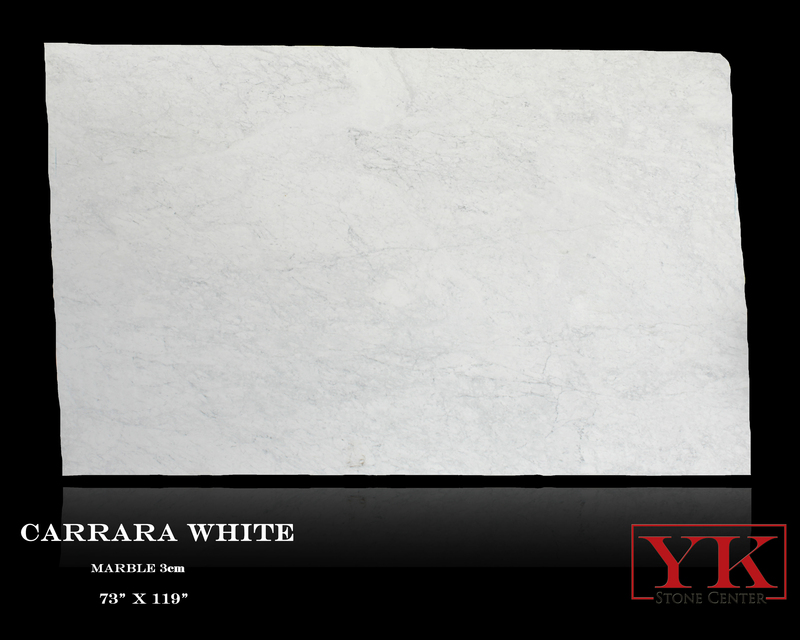 Calcatta Marble slabs- Honed surface finish - was a direct import from Carrara Italy a few years ago. It was hand selected and shipped to our store. The kitchen design was done by our talented in-house designer Kate, the color matching and tile combination and flooring was all picked according to the clients' vision and needs. And they got just that- the finished project looks absolutely stunning. I love the open space and how the light colors make the seasonal decorations easier to match and standout. 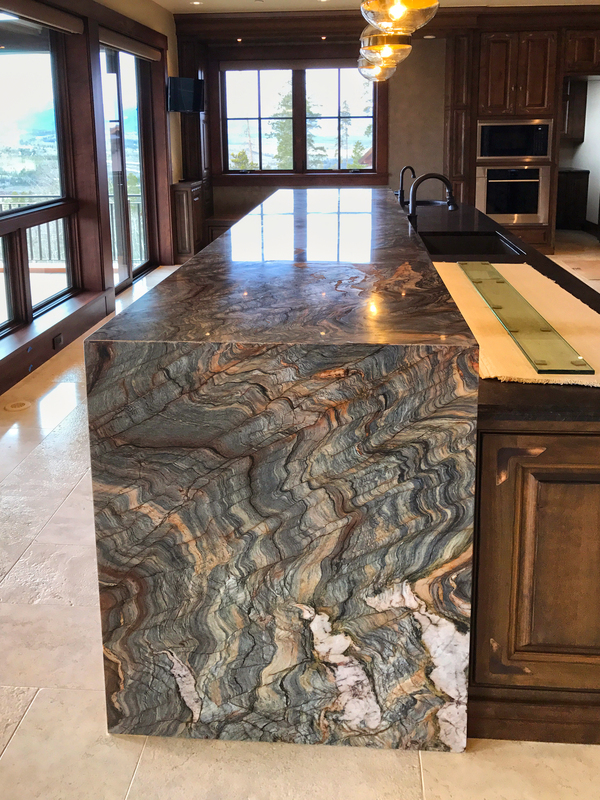 Mitred edges on the oversized island, which is composed of two slabs that are mirrored/ or have that book match design, creating a stunning piece of art right on the countertop, along with waterfall sides. 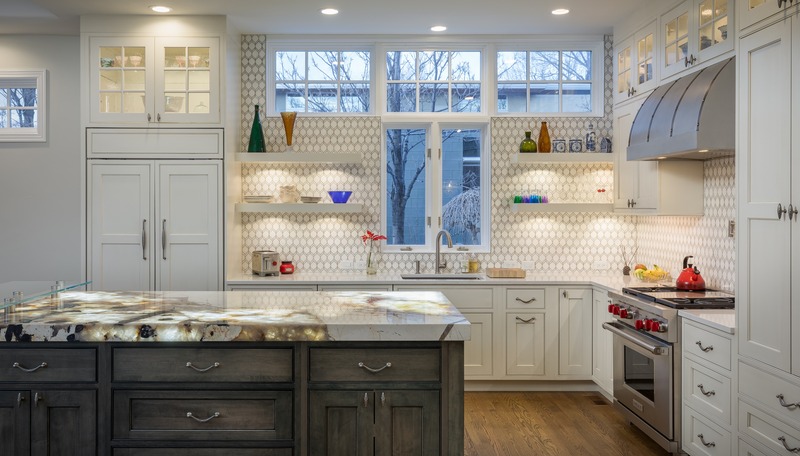 Kitchen backsplash is a marble mosaic tile - a custom waterjet design from decorative materials. 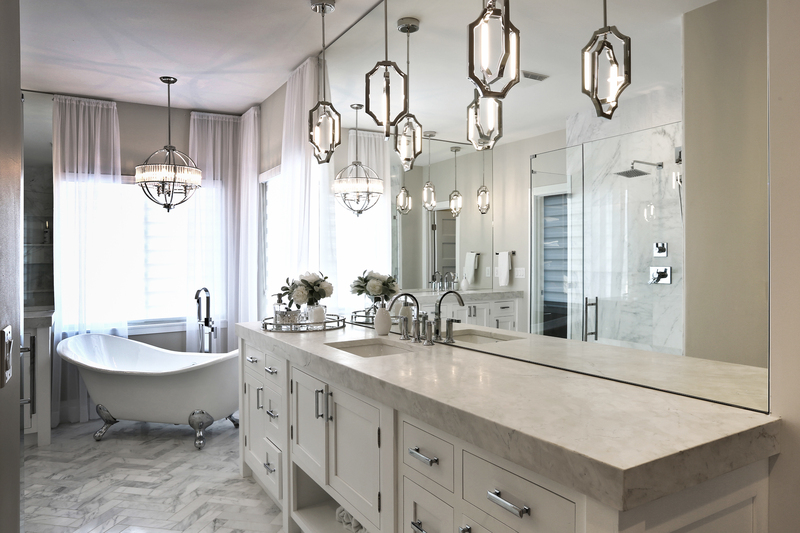 - Master Bath countertop is a solid slab of marble, with a mitred 4cm Edge. Snow-white marble tile floor, was cut in our shop to custom size and was installed in herringbone pattern. 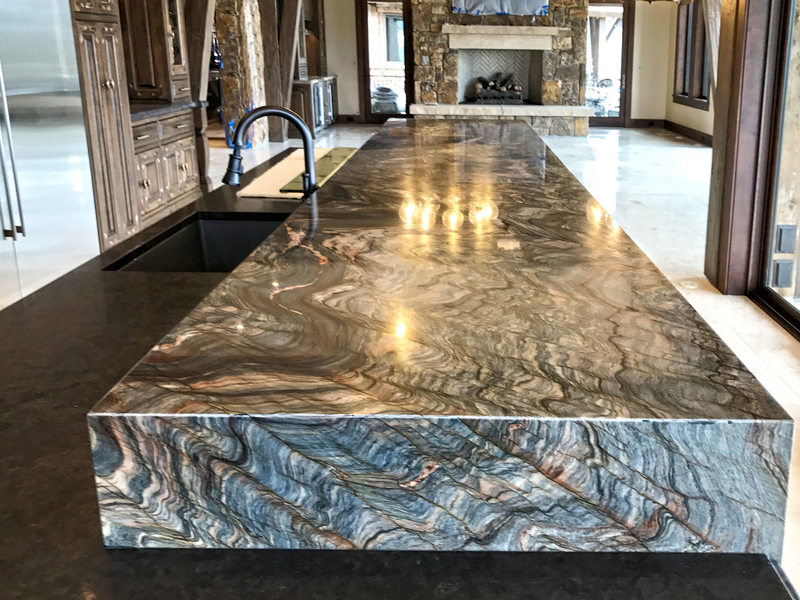 This was such an awesome project, it took 4 slabs of Fusion Granite From The Stone Collection. 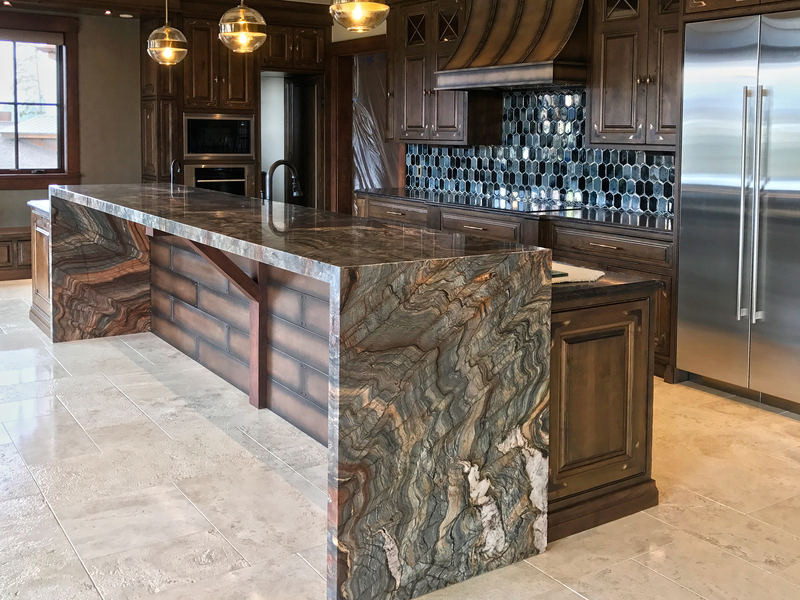 The detail on the raised island was very precise, making sure every single piece was cut to the most accurate measurement, fitting each of them perfectly like a puzzle. We used Slabsmith program to help us match the veins on seams. 6cm Mitred waterfall edges going all the way to the floor on both sides. 6cm mirrored flat polish edge. 6cm bookmatched/ laminate underwrap and waterfall side panels. Lower countertop is out of Antique Brown Leathered Granite - with ogee flat edge. 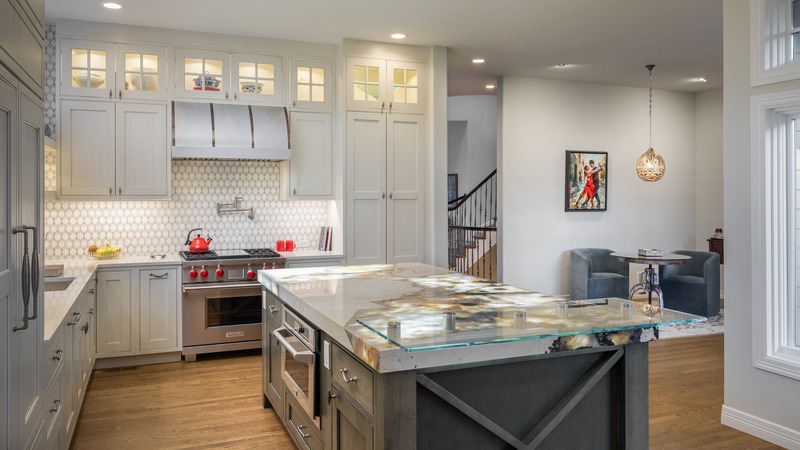 With holidays and celebrations, my kitchen has the most traffic in the house, from my nices and nephews drawing, DIY projects, girls pampering nights, to baking.., I don't have to worry about my countertops being ruined or scratched. 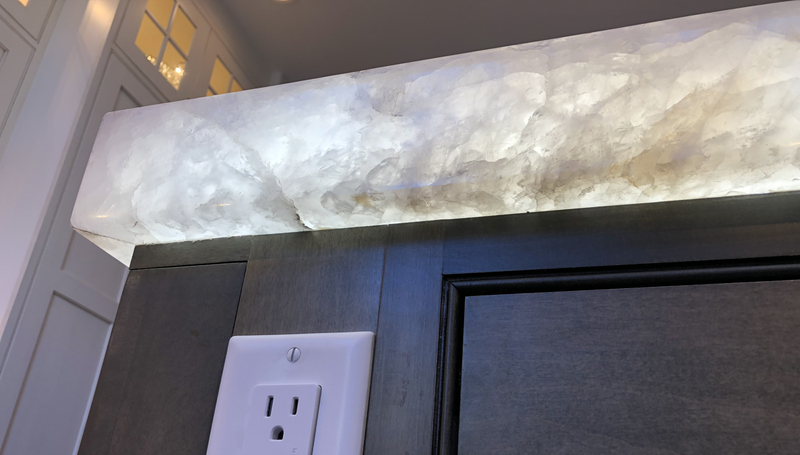 And that is seriously why my whole house has stone everywhere (and also- because my family owns the stone business hehe)- but non-the less, the solid stone surfaces make life so much easier and worry free. 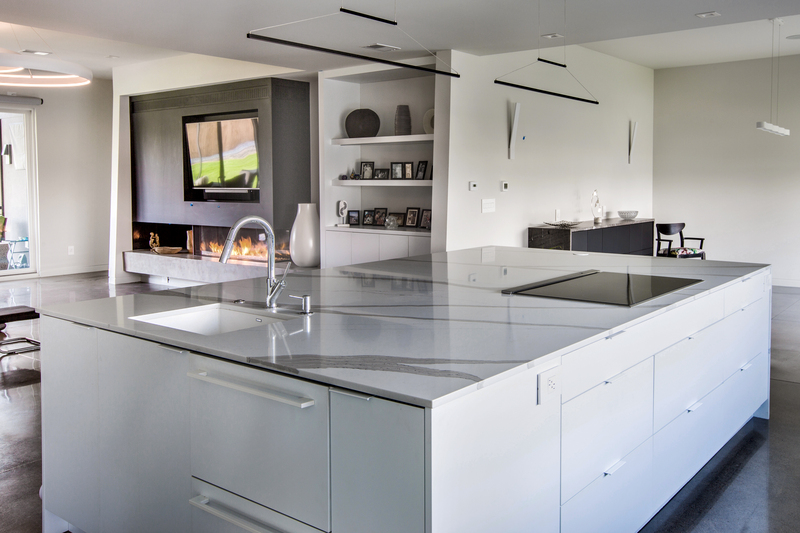 Here is a simple way of taking care of your Caesarstone Quartz surfaces. 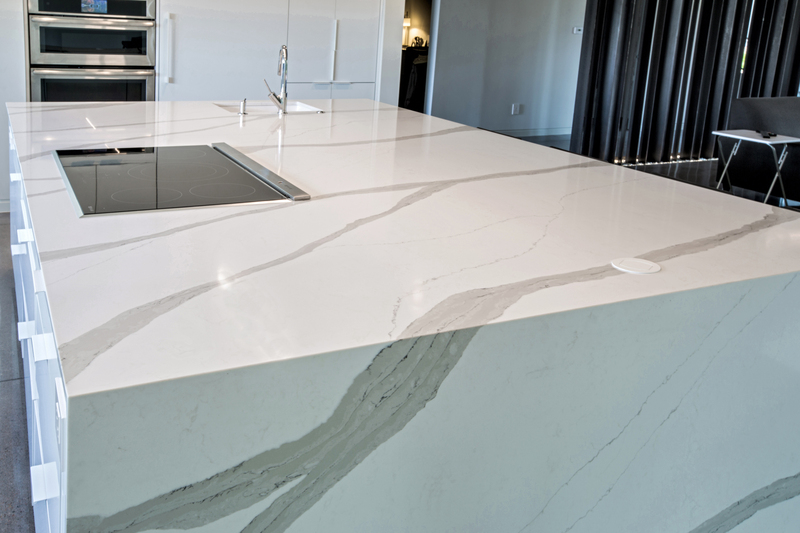 Caesarstone is resistant to cracks, scratches and stains. However, like most materials, excessive force and/or pressure from objects can damage the surface. Please click on the link to watch a short video. 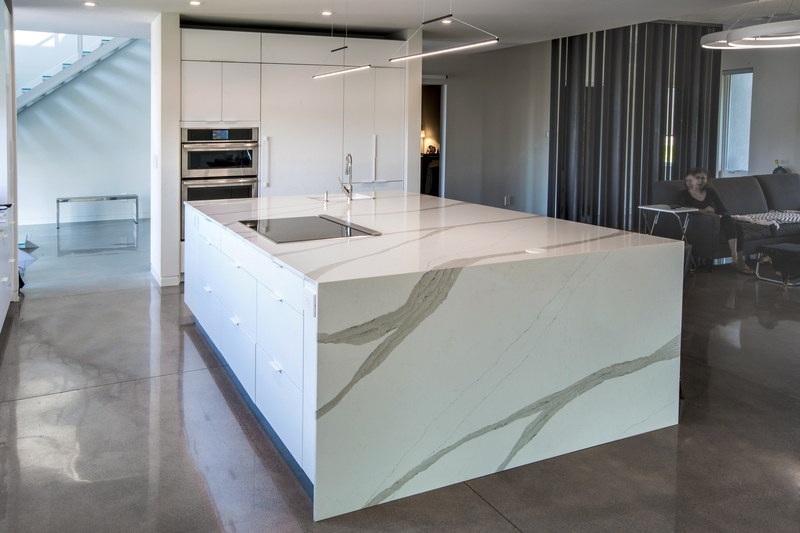 Caesarstone Quartz is non-porous and durable, stain, scratch, and *high heat resistant. You’ll never need to use any sealer or wax, maintenance is virtually care-free. 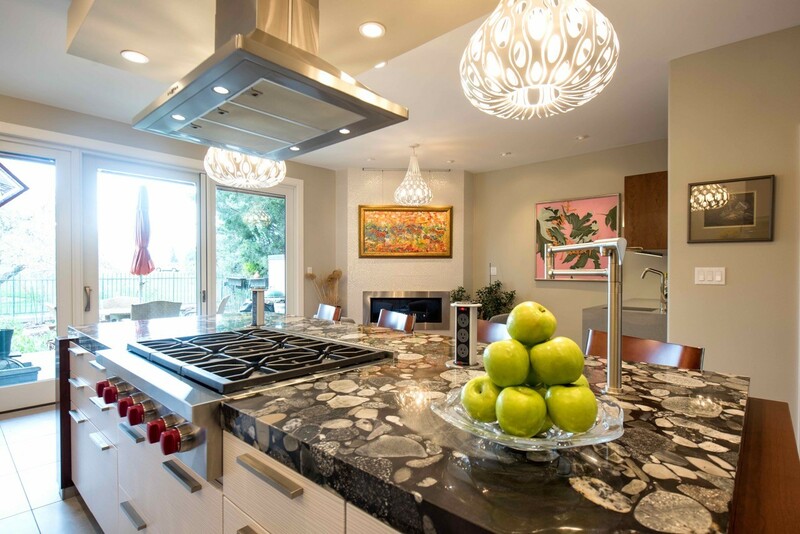 *Caesarstone is structurally more heat resistant in comparison to other stones. However, any stone material can potentially be damaged by sudden and rapid temperature changes, especially near the edges. Therefore, using inexpensive and readily available hot pads or trivets is always recommended, especially when using cooking units such as electric frying pans, crock pots, or roaster ovens. We do not advise putting hot cookware directly on the Caesarstone surface. This is an amazing project that we got to be a part of. The change of the kitchen is so drastic. Absolutely love the end result. 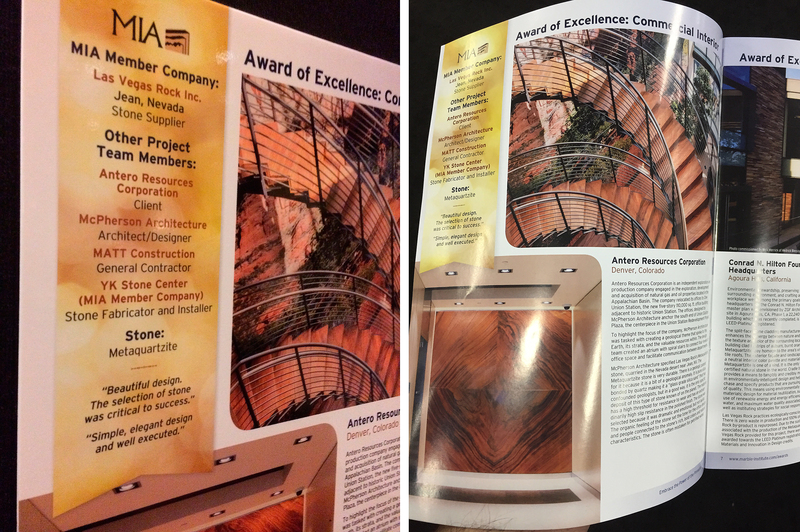 Montage Design Studio (Steffen Andrews + Christine Stegehuis) did an amazing job with making this project specific to the clients' interest. We fabricated and installed the countertops. Stone on the Island- Verde Marinace 3cm with 3" mitred edges. 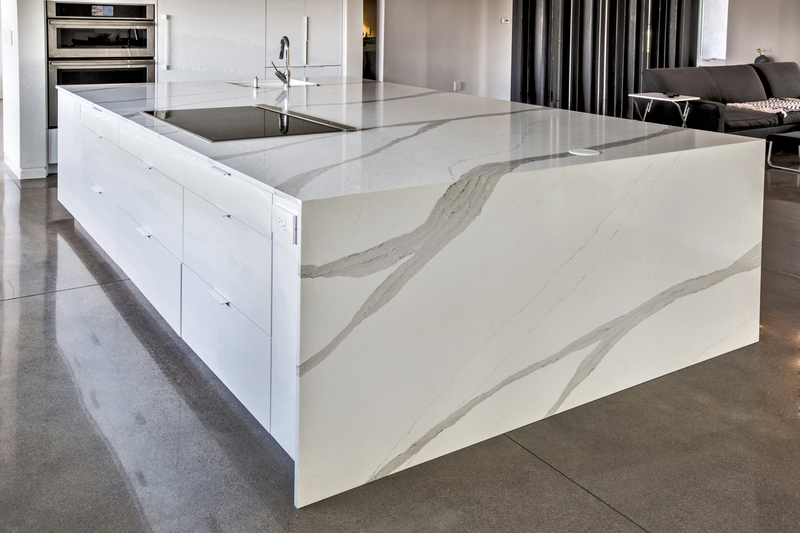 Perimeter- Caesarstone Quartz 'Pebbled' honed surface finish with waterfall edge panel on the bar. 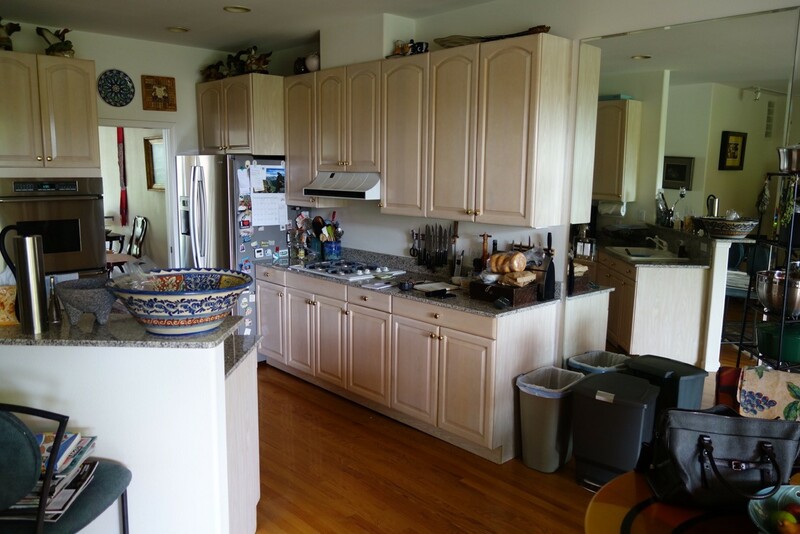 "Our clients love to cook and entertain but the kitchen in their 90’s era Denver townhouse was very dated. While it was a fairly large space, the layout was cramped and awkward. 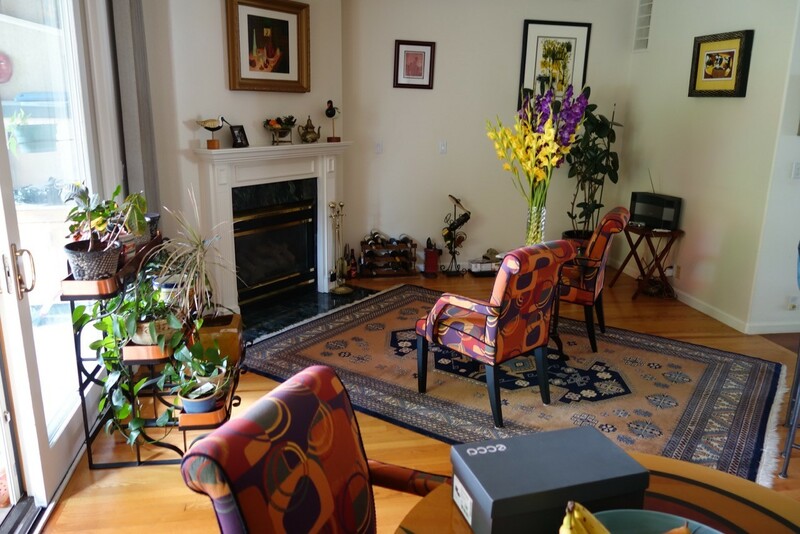 The adjacent sitting area was an after-thought and a mishmash of design styles. 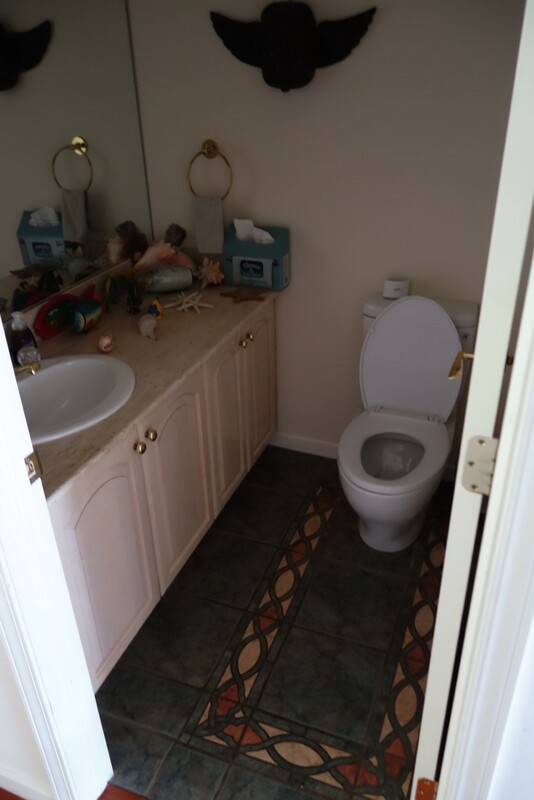 And the powder room needed some sprucing up, as well. 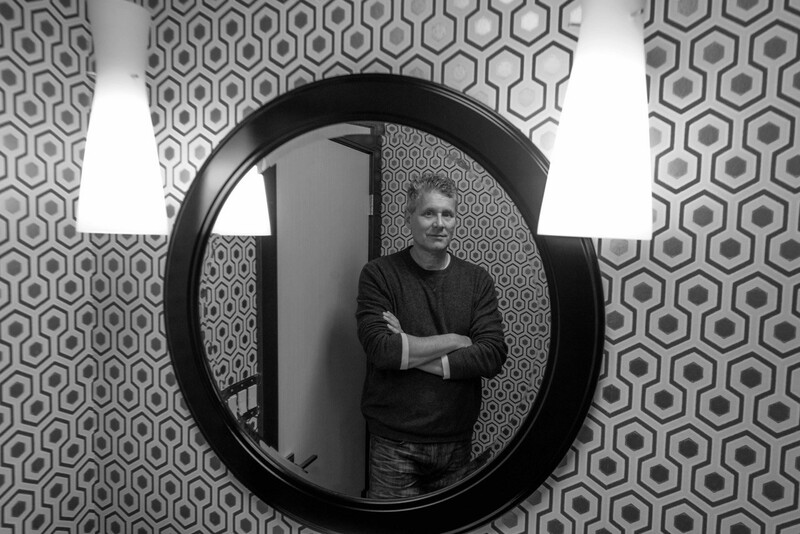 We have been gradually moving the entire space to a more modern design vernacular. 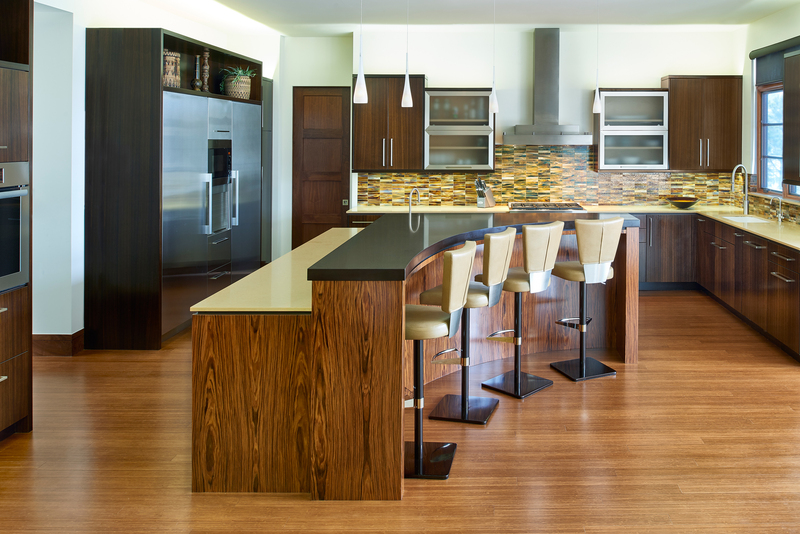 The cherry accents nod to wood flooring in other parts of the house. 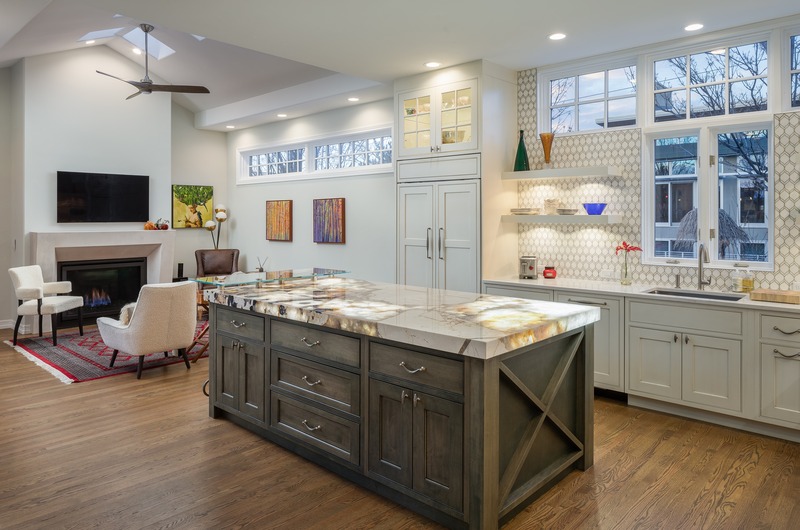 The kitchen’s central island became the hub for food prep, cooking and hanging out. We dropped a soffit over the island to better define the space. The amazing granite countertop inspired all of our other material selections. Check out the cool electrical pop-ups. They allowed us to be code compliant and not mar the island’s cherry bases with electrical outlets. 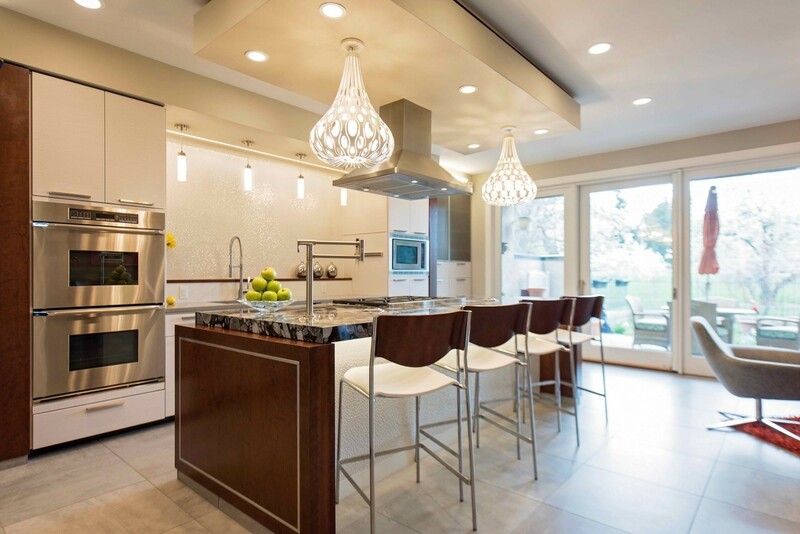 These amazing pendants reference the countertop material and have a hip 60’s vibe. The island is nearly 9’ long. It took a heroic effort to get it into the space in one piece. 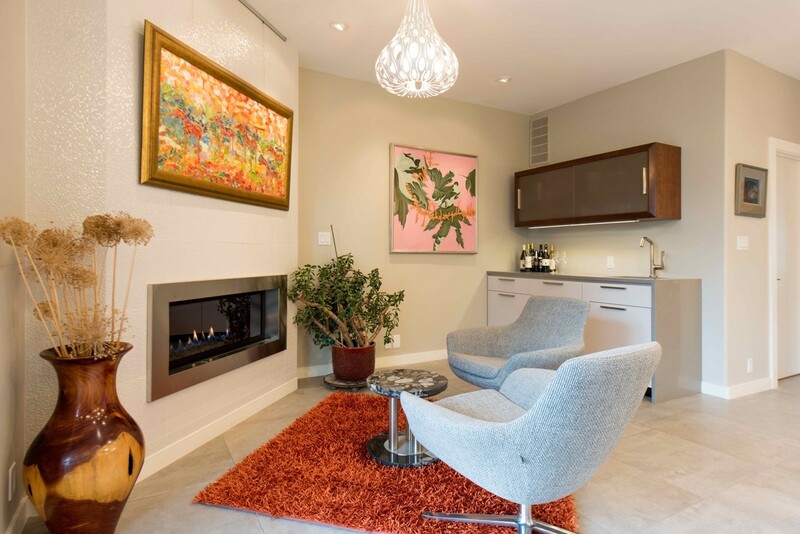 We modernized the fireplace, using the same textured tile as the kitchen backsplash with a custom cabinet above the wet bar. 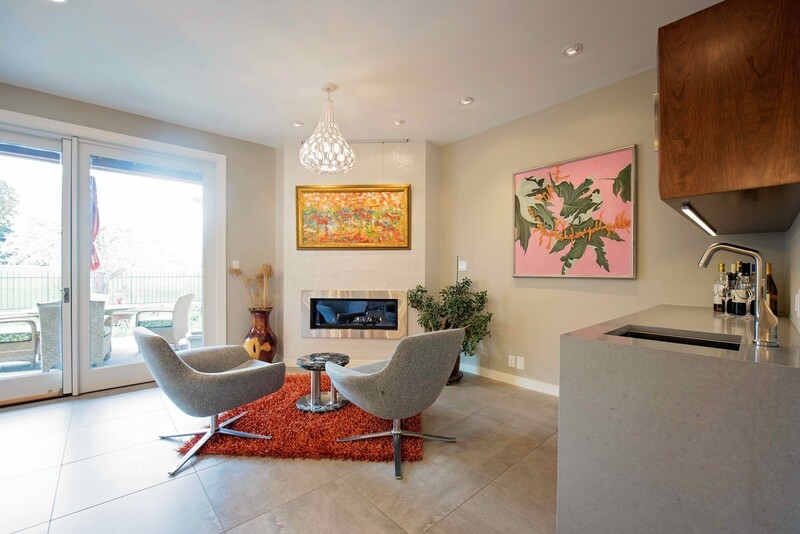 The “Bob” chairs are, at once, sleek and comfy. 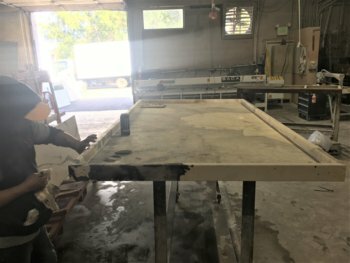 We used a left-over piece of granite to fabricate a small table. 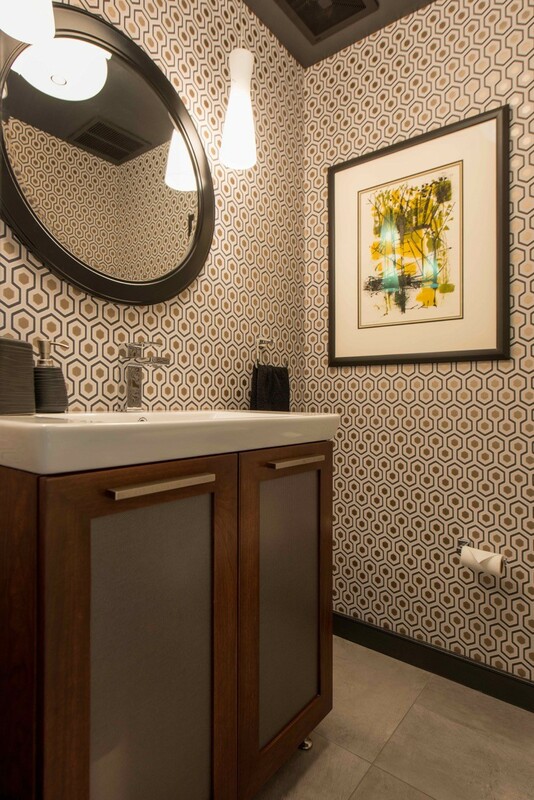 We used David Hicks iconic “Hexagon” wallpaper in the powder room. Everything was going well in the photoshoot until some random guy wandered in off the street. A big and heartfelt thank you to our clients who pushed us to be creative for them. That is such a great gift and so deeply appreciated". It has been a while since I posted something to the YKSC blog, I will try to be more frequent this year and keep you posted on what is going on at our store. :) That said.., Happy 2016 to everyone. Hope this year brings lots of blessings to each of us. A lot has happened in 2015- I'll be updating you on some of that in the next few posts. I'll also will be sharing a few big projects that we have done in the recent past. 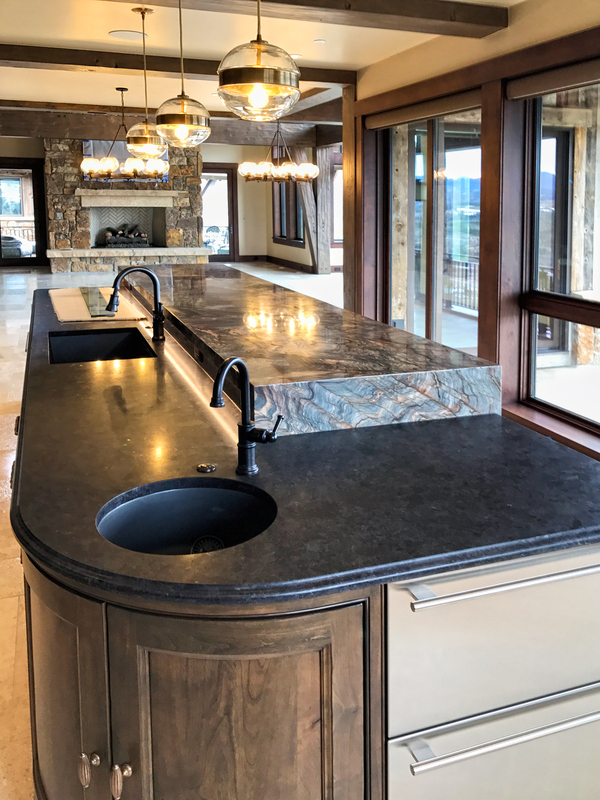 Big thanks to one of our long time builders at Haley Custom Homes for contracting us to do some of the Interior Natural Stone and Quartz Material work. Every detail of the house was thought out and the end result is spectacular. The photos below were taken by Ron, he captured the house beautifully. (Below) Kitchen countertops fabricated out of quartz material, flat polish edge. 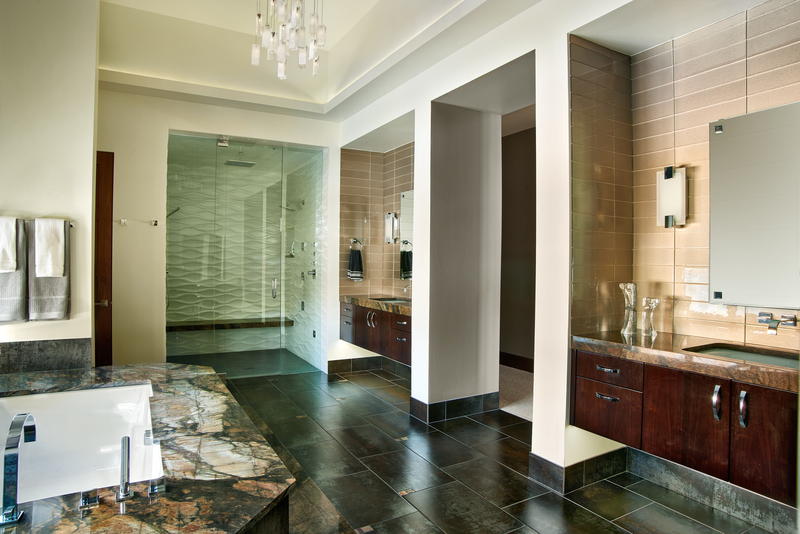 (Below) Master bathroom, Exotic natural stone on tub surround and vanity tops. The fabricated and installed Bar above, is actually a two part. 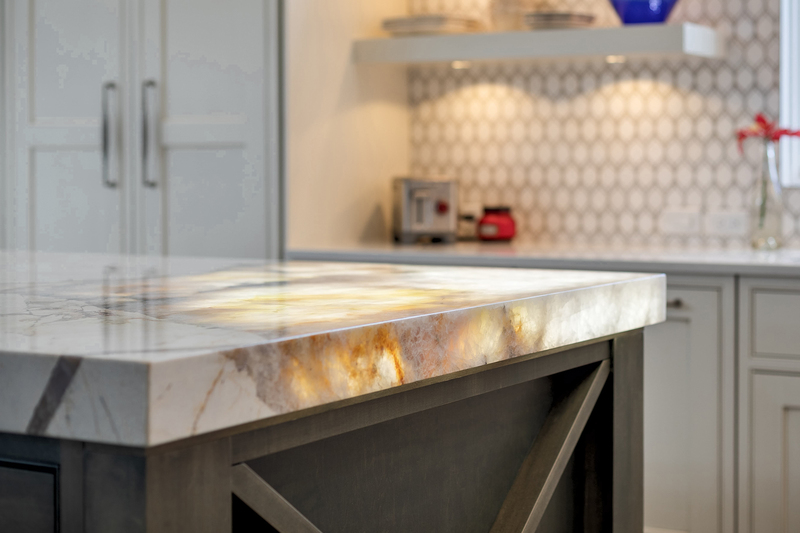 The round top countertop is all natural onyx- which is a translucent material allowing light to go through it, has builtup mitred edge and is lit-up on all sides, gives a beautiful glow. 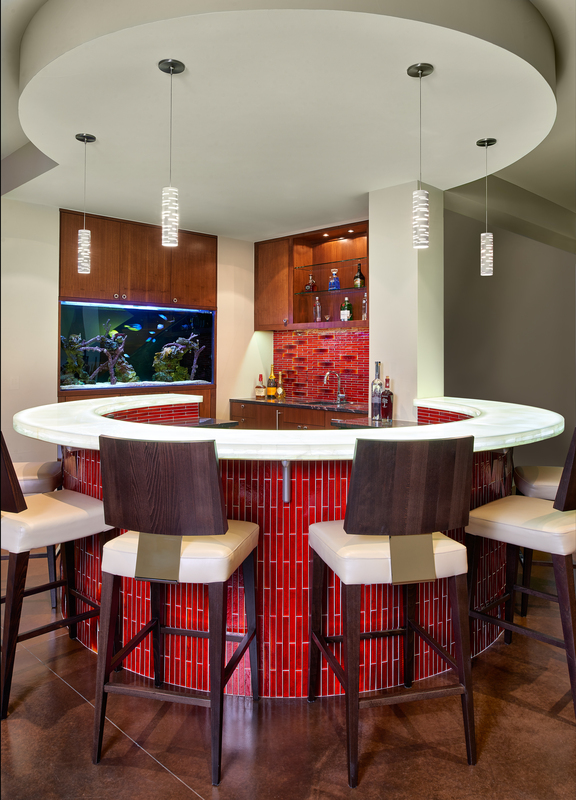 The inside lower bar is out of natural stone- granite (which you can barely see). 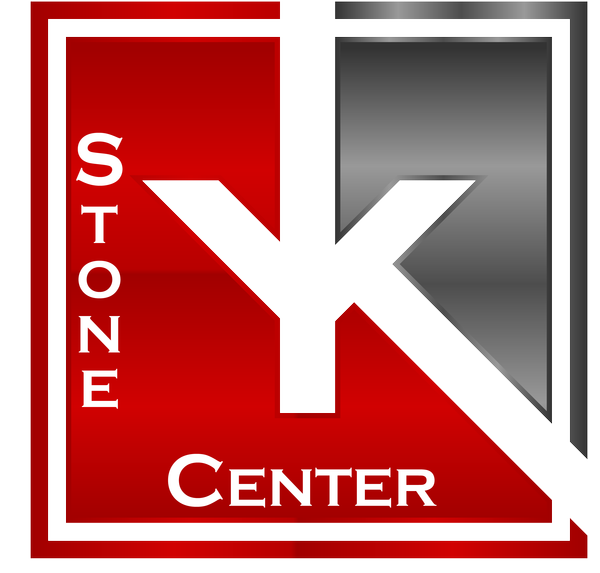 YK Stone Center Inc., could not be more thrilled of the achievement. 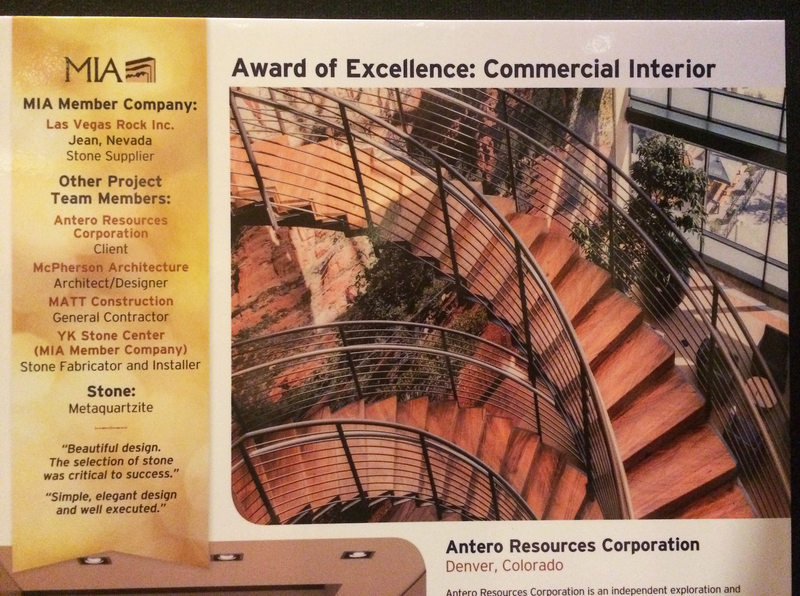 This is our first MIA Pinnacle Award of Excellence in the 'Commercial Interior' division. Grateful to God for allowing us to prosper in the stone business and that we are able to take on such amazing projects. 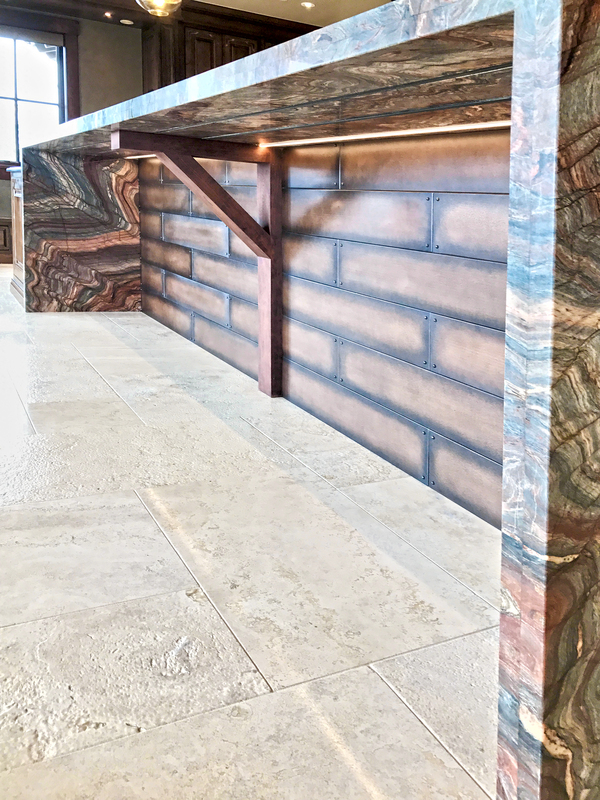 Many thanks to Mark at McPherson Architecture as well as Antero Resources Corp. for giving YKSC a huge opportunity to shine in our stone fabrication and installation services. 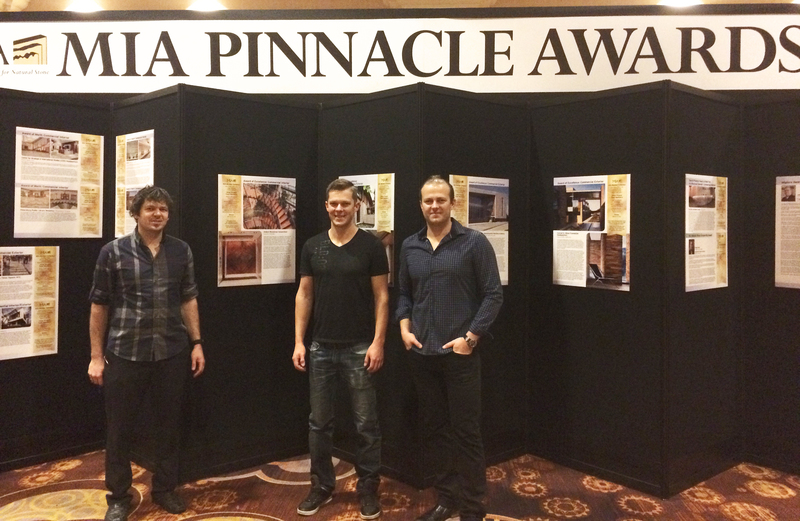 Currently Ilya, Konstantin and Val, are at the KBIS2015 show in Las Vegas NV- where MIA are presenting the awards later today. To read a full article about this project in the 'Stone World' Magazine, please click here. As well as a blog that I had written coupe months ago- Here .